I don't think this could sound any more like Lips Are Movin if it were actually Trainor singing. It's fine I guess. Da ist sie wieder...dieses mal lässt Meghan Trainor grüssen.<br>Schade macht sie nichr mal was eigenes und spannendes. Nice catchy sound. That melody reminds me of something from some time ago, but I can't place it. The background saxophone works well. A couple too many sound effects thrown in there though. There's no popular music trend that Sony Australia won't touch, and this is one of the more embarrassing examples. 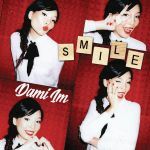 It was embarrassing to see Dami be reduced to a poor man's Meghan Trainor on this song. Nothing else to say, what a dire production.